Thread: Calling All Glitch Hop Peeps! I Have a set to play in 2 days and im in need of a couple more songs that suite this style starting at around 20mins in! Any help would be much appreciated! Not trying to self promote its private and will be deleted. haha your fast to reply. fixing it now... here is some of my tracks from iTunes that should match your style. Last edited by spadenation; 01-24-2013 at 12:27 AM. 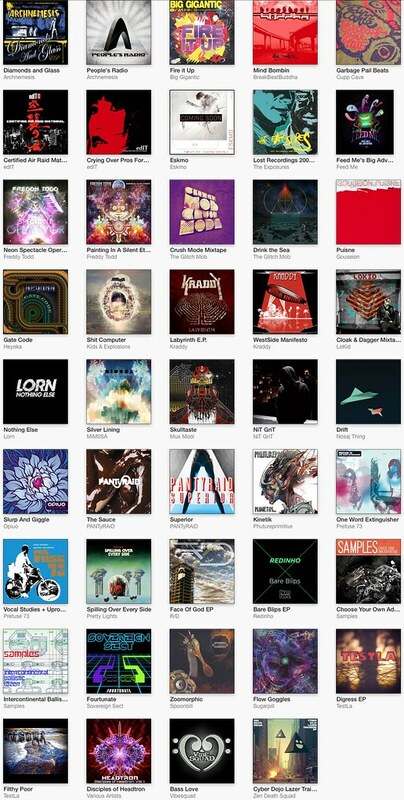 here is some of my tracks from iTunes that should match your style. Your links dont work! I have most of koan sounds songs, ill check and see if that fits in, pretty sure its either 10bpm faster or slower. btw its at 100. I have most those songs and some are in my mix. I was looking for that specific groovy sound. Lots of those guys are more glitchy and less funky. Im looking for the funk in ya trunk feel. Like this song. Im gonna go through and find the artists I dont have tho. Thanks, thats a huge list! Edit* The first 3 were nuerohop not glitchhop. and then it went to dubstep. *edit edit* Sorry if i come off douchey, I appreciate your willingness to help spade! Last edited by AllDay; 01-23-2013 at 08:34 PM. Glitch hop is 95-115 dub is like 70-85. I can see how you would mix them, but I personally dislike dubstep. I mix a lot of funk and ghetto funk in with midtempo and glitch hop. Im looking for like 100bpm to 104 Banger wobbly, funky tunes. But again I think I might have to make my way up to 110 cause I have a lot at that bpm.